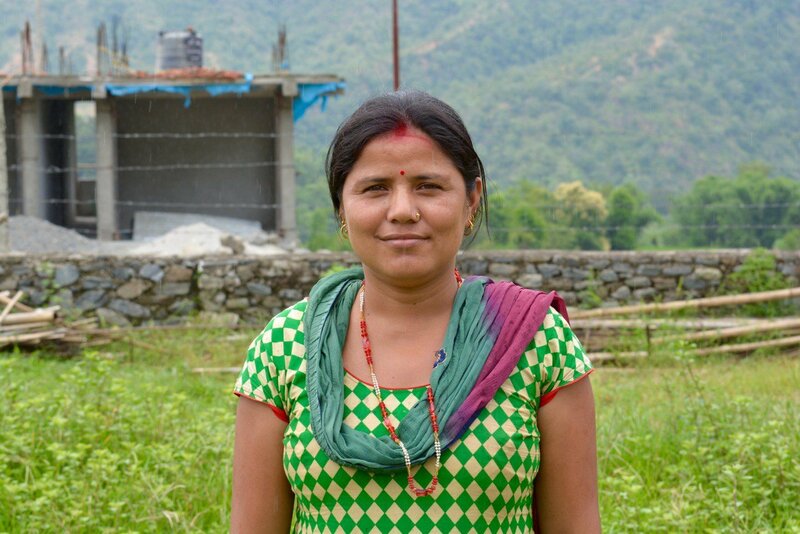 From Nepal to Sierra Leone, these women are towers of resilience in their communities. This story was contributed by Jo Cooke on behalf of Street Child. Millions of children worldwide are out of school, many because of conflict and crisis. On International Women’s Day we are sharing the stories of four incredible women who are defying the odds to ensure children can go to school and have hope for the future. Over 12,000 children were orphaned during the Ebola epidemic in Sierra Leone. Grandparents, like 70 year old Ramatu, not only lost their own children but have taken on the responsibility of caring for and educating their grandchildren — often at great personal cost. Ramatu lives in a small community just outside the Sierra Leonean capital Freetown with her husband Alusine. 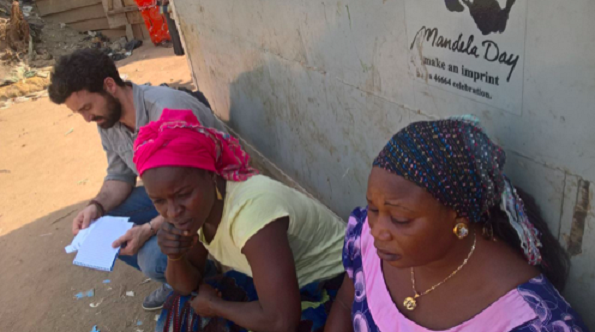 She now cares for her 18 grandchildren, six of whom lost their parents to Ebola. 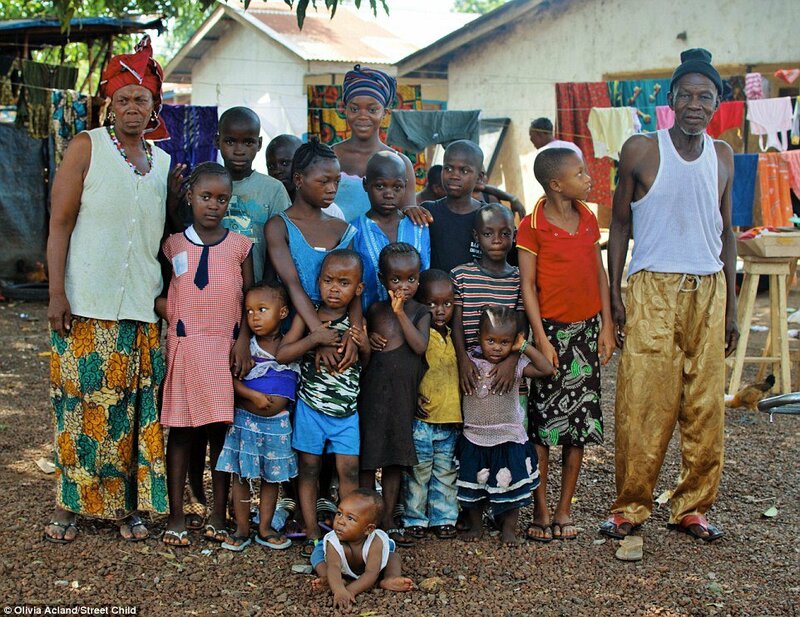 Before Ebola hit, she was already caring for 12 children after their parents passed away. Ramatu’s granddaughter Bintu was just 11 years old when she, along with her three younger sisters, lost both their parents to Ebola. They were living in Liberia at the time so 70-year-old Ramatu made the long, dangerous trip across Ebola-infected Sierra Leone and Liberia to pick up her four grieving, vulnerable grandchildren — one of whom was just a baby. By the end of 2015, Ramatu had sadly lost another of her own children to Ebola, meaning that she had another two grandchildren to care for. Survival has been a serious struggle for the family but she is determined to care for each child and support them through their grief. 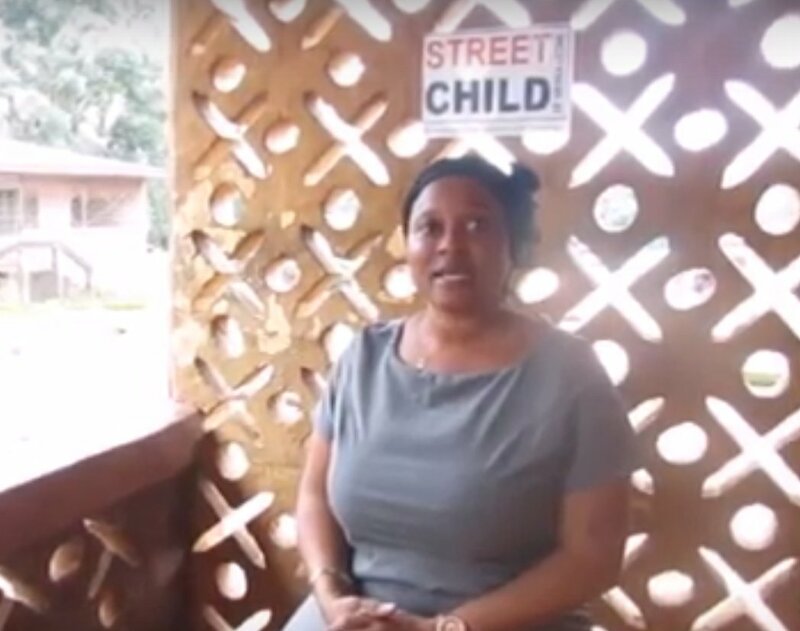 Despite her years, two years on from the crisis, with the support of Street Child Ramatu has setup a business so that she can feed and educate her 18 grandchildren. She is a truly remarkable woman. “When the first earthquake struck I ran to the school to check if my daughters were okay. I was scared to send my children back to school after the earthquakes, the building had cracks….whenever there was an aftershock all the children would start running out and get hurt….and I would rush to the school to check if my girls were alright. After the Nepal Earthquakes, many parents were scared to send their children to school because of damage to school buildings. Now Street Child are building 20 learning spaces in Sindhuli to ensure that children are safe to go to school. Saraswati is championing education for girls and boys in her community, leading by example in showing her community that it is safe for children to go back to school. “This has never just been a job for me; I know first-hand the difficulties faced by girls growing up in Sierra Leone. "When I was a teenager, I lost my father. He left huge debts. My mother, siblings and I faced homelessness. Our house was repossessed and we had no-one to help us. In order to survive, I married young; it wasn’t a choice I wanted to make, but it was the only way to support my family and ensure my siblings could go to school. "Today I fight to ensure that girls don’t have to make the kinds of choices that I did, to keep them out of poverty and to make sure they have a chance to go to school and receive a quality education. We hear from girls suffering abuse both in and out of school, girls with no choice but to sleep with men to help them get by and others under pressure from parents or their community to marry or work rather than go to school. But the issue that girls identify more than any other preventing them from going to school is poverty. Conflict in North East Nigeria has forced over 2 million people to flee their homes. Over 3 million children are unable to go to school. Elizabeth and her family are just one of countless families impacted by the conflict that caused what the UN has called "the world’s worst humanitarian crisis". Elizabeth has resolved not to let this crisis beat her. Elizabeth grew up in Goza, Borno State, and lived there with her husband and six children. In Goza, Elizabeth's family were safe and happy. Her husband worked as a farmer on a small plot of land, whilst Elizabeth ran a small goods business. All her children were able to go to school. In 2014 everything changed. Due to conflict in North East Nigeria, Elizabeth was forced to flee her village with her family. After two months of travelling through dangerous territories, they reached the safety of Abuja, and were settled in the Kuchingoro Displaced Persons' Camp. There is little food in the camp and children have only just begun to access education. But Elizabeth is defying the odds. With the help of UK charity Street Child, 30 mothers, including Elizabeth, are doing vocational training. They are working to set up sustainable businesses within the camp to ensure their children are fed and can go to school. Survival is an everyday battle at the moment but Elizabeth tenaciously refuses to lose hope.